THE WORST PLAN EVER FOR WILD HORSE MANAGEMENT- CANCELED! “We received this information from Elaine Nash last night” – R.T. Earlier this month, the Navajo nation had announced a plan to sell hunting permits to 60 Navajo hunters, with the first hunt scheduled for March 27, 2018. 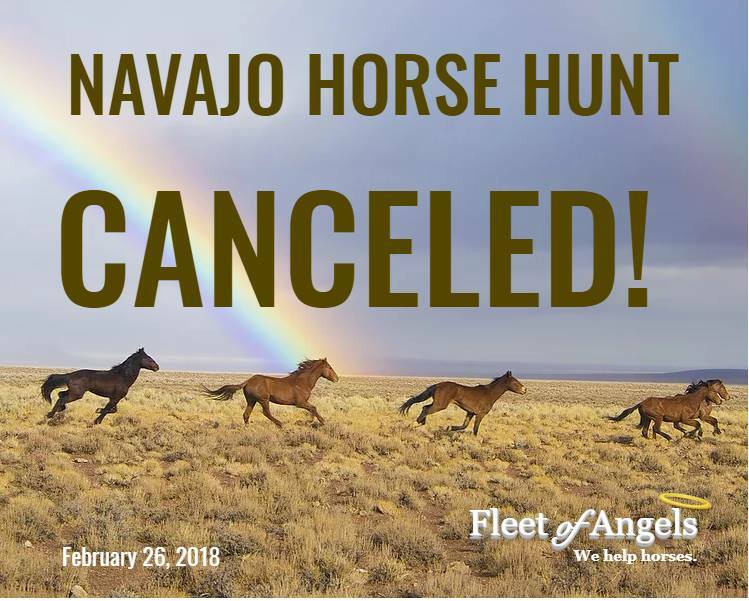 As of today, due to the diligent work of wild horse advocates, that very bad plan to shoot 60 wild horses has been canceled. There will probably be many new efforts launched to help the Navajo people with their wild horse management issue. Please support these efforts. Donate, participate, educate, adopt. This very close call definitely got the attention of the wild horse advocacy community. Now, let’s be sure that we do what we can to be sure it never happens again. It might not be canceled the next time.